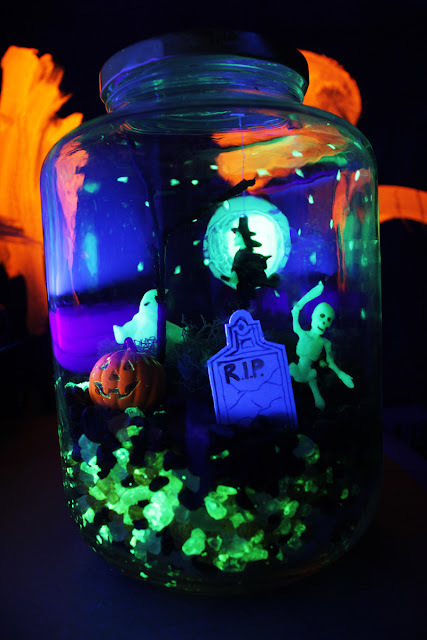 I am in love with this Halloween Terror-arium! It actually glows in the dark! You can make your own with the instructions over at Babble Dabble Doo. Enjoy this creep addition to your Halloween decor!